Manchester United have been on a roll since the sacking of Jose Mourinho and that too without signing a player in January. 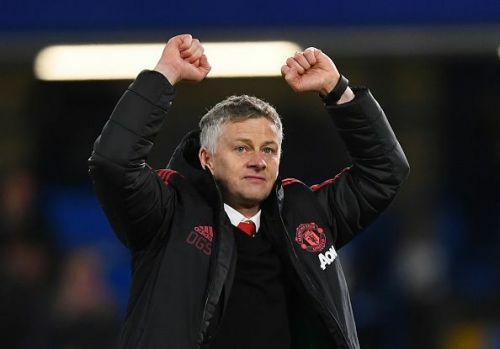 The Red Devils are now reportedly set to give Ole Gunnar Solskjær the job on a permanent basis and he's already made plans for the summer. United are in talks with Bruno Fernandes' agents according to A Bola. The Sporting CP captain is also a target for Liverpool and Chelsea but both sides are yet to make a move. United sacked Jose Mourinho in December and appointed Ole Gunnar Solskjær as their interim manager until the end of the season. The Norwegian has done a fine job at Old Trafford so far and has got the support of the fans and club legends to make the position a permanent one. Manchester United are planning for the next season and have already held talks with Bruno Fernandes' agents as per A Bola. The Portuguese publication reports that Chelsea and Liverpool are also interested in him but are yet to make a move. No details of how much the midfielder would cost or the wages offered have been mentioned, so we are not going to speculate anything as well. A Bola are a highly reliable source in Portugal and they have been spot-on with a number of rumours in the past. For example, they were the first ones to break the news of Ronaldo leaving and his move to Juventus in the summer. United are in need of a midfielder to replace Matic in the long-term and also Ander Herrera, whose contract expires at the end of the season. Bruno Fernandes will have a tough decision to make in the summer. He's the club captain at Sporting CP and a move to the Premier League might make him a benchwarmer if he doesn't adapt quickly.